Design ideas for a contemporary open plan dining in Adelaide with grey walls, light hardwood floors and beige floor. 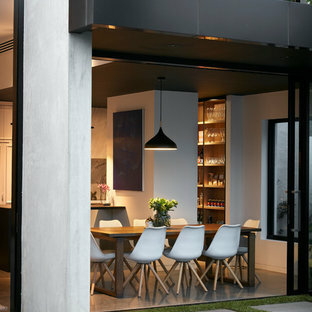 This is an example of a contemporary separate dining room in Melbourne with concrete floors, white walls and grey floor. 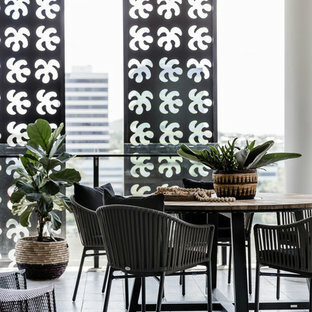 Design ideas for a contemporary separate dining room in Melbourne with white walls and concrete floors. Beach style open plan dining in Other with grey floor. Design ideas for a contemporary kitchen/dining combo in Canberra - Queanbeyan with white walls and no fireplace. Inspiration for a beach style dining room in Sunshine Coast with white walls, light hardwood floors and beige floor. Design ideas for a modern separate dining room in Melbourne with white walls and beige floor. Photo of a modern dining room in Sydney with white walls, light hardwood floors and beige floor. Design ideas for a scandinavian open plan dining in Melbourne with white walls, dark hardwood floors and brown floor. 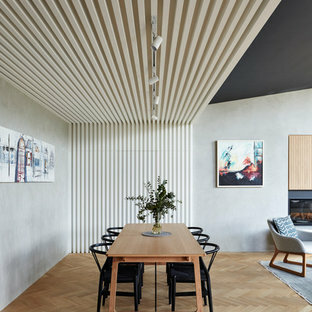 Photo of a contemporary separate dining room in Melbourne with white walls and light hardwood floors. 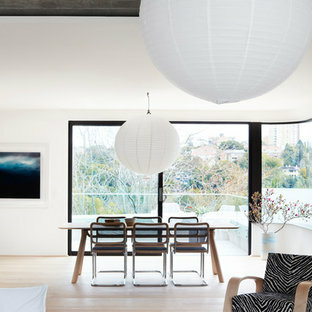 Photo of a mid-sized contemporary open plan dining in Sydney with white walls, concrete floors and grey floor. 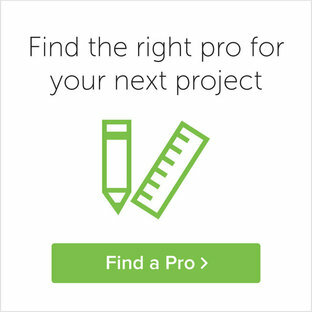 Design ideas for a contemporary dining room in Melbourne with white walls and grey floor. Inspiration for a contemporary dining room in Sydney with white walls, concrete floors, a ribbon fireplace, a brick fireplace surround and white floor. Design ideas for a small contemporary open plan dining in Sydney with white walls and light hardwood floors. 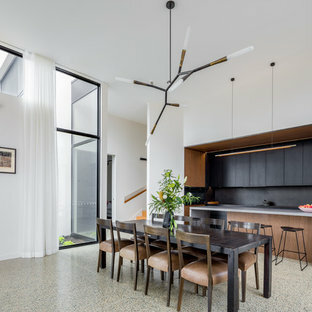 Photo of a large contemporary open plan dining in Melbourne with limestone floors, grey floor and grey walls. Contemporary separate dining room in Hobart with white walls, medium hardwood floors and brown floor. This is an example of a country open plan dining in Sunshine Coast with white walls and grey floor.